I am now recruiting a couple of highly self-motivated graduate students and post-doctoral research fellows on i) next generation (5G/6G) communication networks, ii) molecular communication networks, iii) applied machine learning, and iv) applied mathematics. Please contact me for more information. You might also want to contact my students to ask how we conduct research. Jan./2015 Founding-Editor of the IEEE Trans. on Molecular, Biological, and Multi-scale Comm. (T-MBMC). Chan-Byoung Chae is the Underwood Distinguished Professor in the School of Integrated Technology, College of Engineering, Yonsei University, Korea. He was with the Department of Electrical Engineering, Stanford University, CA, USA as a Visiting Associate Professor in 2017. He was a Member of Technical Staff (Research Scientist) at Bell Laboratories, Alcatel-Lucent, Murray Hill, NJ, USA from June 2009 to Feb 2011. Before joining Bell Laboratories, he was with the School of Engineering and Applied Sciences at Harvard University, Cambridge, MA, USA as a Post-Doctoral Research Fellow under the supervision of Vahid Tarokh. He received the Ph.D. degree in Electrical and Computer Engineering from The University of Texas (UT), Austin, TX, USA in 2008 under the supervision of Robert W. Heath, Jr., where he was a member of the Wireless Networking and Communications Group (WNCG). Prior to joining UT, he was a Research Engineer at the Advanced Research Lab., the Telecommunications R&D Center, Samsung Electronics, Suwon, Korea, from 2001 to 2005. He was a Visiting Scholar at the WING Lab, Aalborg University, Denmark in 2004 and at University of Minnesota, MN, USA in August 2007 to work with Nihar Jindal. While at Samsung, he participated in the IEEE 802.16e and 3GPP standardization, where he made several contributions and filed a number of related patents. His current research interests include wireless mobile networks and nano (molecular) communications. He is now an Editor-in-Chief of the the IEEE Trans. on Molecular, Biological, and Multi-scale Communications. He has served/serves as an Editor for the IEEE Communications Magazine (2016-present), the IEEE Trans. on Wireless Communications (2012-2017), the IEEE Trans. on Molecular, Biological, and Multi-scale Comm. (2015-present), the IEEE Wireless Communications Letters (2016-present), the IEEE Trans. on Smart Grid (2010-2011), the IEEE ComSoc Technology News (2014), and the IEEE/KICS Jour. of Comm. Networks (2012-present). He has been a Guest Editor for the IEEE Journal on Selected Areas in Communications (special issue on molecular, biological, and multi-scale communications) 2014-2015 and the IEEE Access (special section on molecular communication networks). He is an IEEE Senior Member. 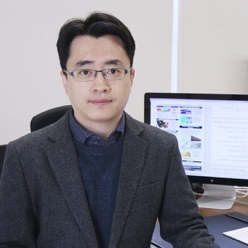 Dr. Chae was the recipient/co-recipient of the Best Young Engineer Award from the National Academy of Engineering of Korea (NAEK) in 2019, the Outstanding Achievement Award in Education from Yonsei University in 2019, the IEEE DySPAN Best Demo Award in 2018, the IEEE/KICS Journal of Communications Networks Best Paper Award in 2018, the Outstanding Achievement Award (Highly Cited Researcher) from Yonsei University in 2018, the Award of Excellence in Leadership of 100 Leading Core Technologies for Korea 2025 from NAEK in 2017, the Underwood Distinguished Professor Award in 2016, the Outstanding Teaching Award in 2017 from Yonsei University, the Yonam Research Award from LG Yonam Foundation in 2016, the Outstanding Professor Award from IITP in 2016, the Best Young Professor Award from the College of Engineering, Yonsei University in 2015, the IEEE INFOCOM Best Demo Award in 2015, the IEIE/IEEE Joint Award for Young IT Engineer of the Year in 2014, the KICS Haedong Young Scholar Award in 2013, the IEEE Signal Processing Magazine Best Paper Award in 2013, the IEEE ComSoc AP Outstanding Young Researcher Award in 2012, the IEEE VTS Dan. E. Noble Fellowship Award in 2008, two Gold Prizes (1st) in the 14th/19th Humantech Paper Contests, and the KSEA-KUSCO scholarship in 2007. He also received the Korea Government Fellowship (KOSEF) during his Ph.D. studies. © cbchae.org. All rights reserved.